Michael McNamara was born and raised in Sacramento, California. Father (John McNamara) managed in Major League Baseball for twenty plus seasons, mother (Kathleen) was a “stay at home” mom and three adoring sisters completed the McNamara family. Catholic educated from kindergarten to college, received a BA in Economics from the University of San Diego in 1981. 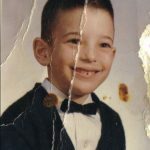 Worked for Merrill Lynch Inc in Los Angeles as a bookkeeper and later as a broker. Enlisted in the US Marine Corps and was commissioned a 2ndLt in December of 1983. 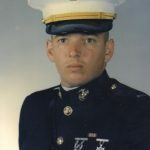 After assignments to 1st Battalion, 5th Marine Regiment, 1st Light Armored Infantry Battalion, Marine Detachment USS Ranger CV-61, The Basic School and 3rd Light Armored Infantry Battalion he left active duty in 1994. 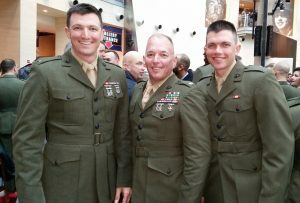 Mac returned to active duty in 2004, was promoted to the rank of Major and deployed to city of Ramadi, Iraq with the 1st Marine Division Headquarters Element in support of Operation Iraqi Freedom II. Returned to the United States in December of 2004 and was demobilized in February 2005. 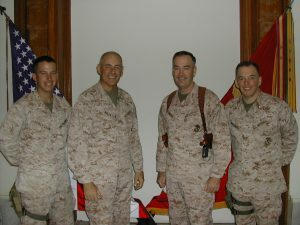 Mobilized again in January of 2006 for duty with the 5th Marine Regiment in the city of Fallujah, Iraq; returning to the United States in October of 2006 and demobilizing. While in Iraq was Mac was elected to the City Council of the city of Grand Forks, ND defeating four other candidates. 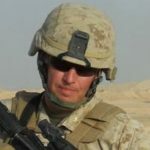 In June of 2010 after completing his four-year term on the Grand Forks City Council, Mac was mobilized in support of Operation Enduring Freedom for duty with the 1st Marine Regiment and deployed to the Helmand Province of Afghanistan. Mac remained on active duty with I MEF at Camp Pendleton until he retired from the Marine Corps in October of 2015. Currently, Mac is the President of All Marine Radio, an internet based radio station which is dedicated to the culture of the Marine Corps and the concept of reducing veteran suicide through greater post-combat related mental health awareness. ALL MARINE RADIO began broadcasting on June 2, 2016 and airs LIVE programming from 7:00-10:00 AM Pacific Time, Monday through Friday and streams its own audio 24/7. Mac is single and the father of four children, two sons are Marine Infantry Officers and two daughters reside in Southern California.